The story revolves around the life of Sandeep and Anisha, a happily married couple with an unusual situation to face. Sandeep who aspires to be an actor someday is a house husband investing his time in dreaming about his acting career. Anisha on the other hand is a housewife and a loving daughter in law. A simple and happily living family encounters an eventful life when Anisha decides to cross the threshold of her house to earn a living for the family. She gets hired in a well established company but there is a catch! She had to lie about her marital status in order to get that lucrative job! 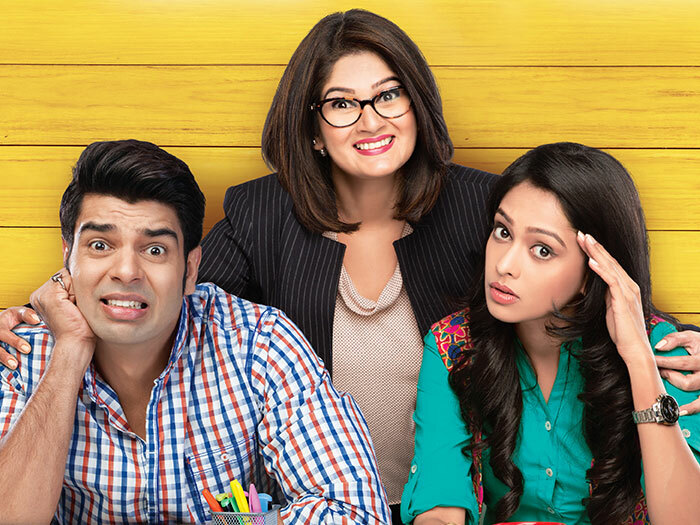 The company owner is someone who is in the pretext of hiring a GM for her company is looking out for a prospective daughter in law for her nephew and starts to like Sandeep’s insecurity takes a toll on him and he decides that its high time he protects his wife and decides to take up a job in the same company. Here again, there is a catch- as they know Sandeep he had to get the job not as Sandeep. So he enters in the company as Rameshwar Sharma !Anisha.